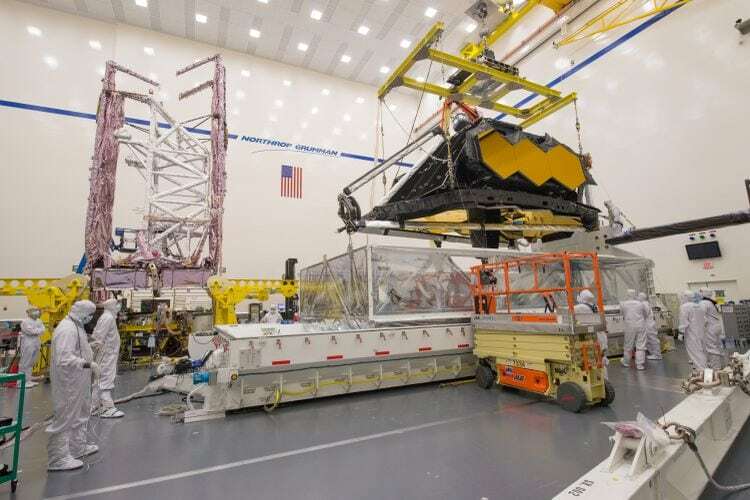 Northrop Grumman has successfully powered up the two main parts of NASA’s James Webb Space Telescope, signaling a milestone event in the test and integration phase of the program. The telescope’s Optical Telescope element/Integrated Science (OTIS) instrument module and Spacecraft Element (SCE), which includes the sunshield and spacecraft bus, were separately powered at Northrop Grumman’s facilities in Redondo Beach, California. This is the first time both halves were powered in the same building. SCE will receive additional testing before being combined with the OTIS to form the complete James Webb Space Telescope observatory. Once the telescope is fully integrated, it will undergo observatory-level testing. Webb is an international program led by NASA with its partners, the European Space Agency (ESA) and the Canadian Space Agency (CSA). The post James Webb Telescope Powered Up by Northrop Grumman appeared first on Via Satellite.